Aurora police are investigating a “possible child abuse case” after video showing a woman dragging a child by his hair at a suburban emergency room was posted to social media Monday. NBC 5’s Trina Orlando has the details. Warning: Video may be disturbing to watch for some viewers. A woman is now facing charges after video showing her dragging a child by his hair at a suburban emergency room was posted to social media this week. Tanye M. McNeal was charged with three felony counts of aggravated battery and three misdemeanor counts of domestic battery in connection with the incident at Rush Copley Medical Center in Aurora, according to police. She is expected to appear in bond court Thursday. Recorded footage Monday showed McNeal dragging a 5-year-old boy by his hair as the child cries in the emergency room waiting area at the hospital. (Warning: Video may be disturbing to watch for some viewers.) 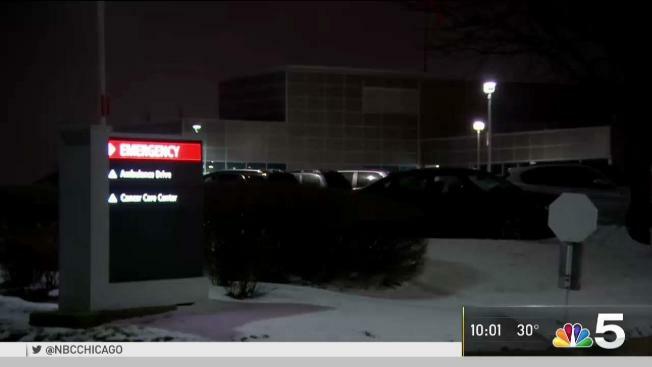 Aurora police are investigating a “possible child abuse case” after video showing a woman dragging a child by his hair at a suburban emergency room was posted to social media. The video was taped by a 28-year-old Wisconsin woman who also called 911 to report it, police said. McNeal was taken into custody Wednesday afternoon following an investigation involving Aurora police, DCFS, medical professionals and the state's attorney's office, authorities said. Police said charging documents indicated that before the dragging incident McNeal held the 5-year-old down in a chair while pinching his neck, which caused bruising. The boy and another 2-year-old boy, who are both relatives of McNeal, were placed with another relative shortly after an investigation began, according to officials. "Rush Copley Medical Center staff immediately contacted the Aurora Police Department in response to the incident that occurred in our Emergency Department waiting room on Monday afternoon," the hospital said in a statement. "The investigation is ongoing with the Aurora Police Department."